Demeter was kind enough to send me a sample of their Mr. Bubbles cologne spray and asked me to write a post about how the scent brings back memories of my childhood. Being a 90's baby I remember bubble baths with Mr. Bubbles quite fondly. And this cologne spray smells EXACTLY like the bubble bath. It took me right back to piling bubbles onto my head and around my chin and pretending to be Santa Claus. I also recently had all my girlfriends over for a couple glasses of wine and this product was sitting on my kitchen island. I told everyone to smell it and all of us couldn't get over how much it smelt like the real thing. Every single one of us were transported back to those childhood bubble baths with loved as kids. I can't say I would wear this everyday on my body and I'm not even sure that this is the goal of their scents. But I do love spraying it on my towels in my bathroom, I catch a slight scent of Mr. Bubbles every time I get out of the shower and dry off and it takes me back to simpler times. 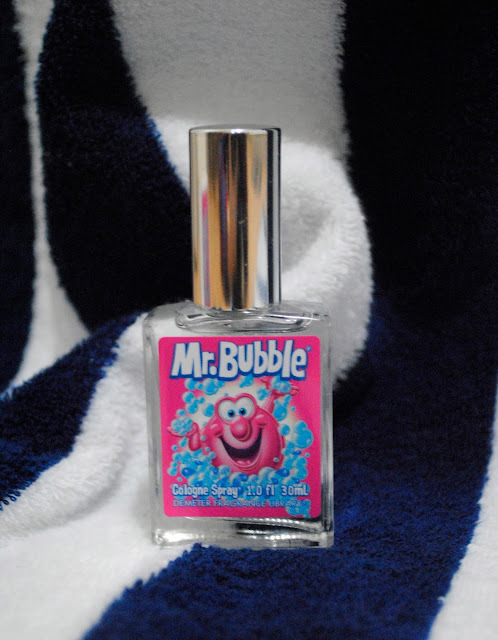 I don't think I ever used Mr Bubbles as a kid but I can totally relate to the scent memory! Last year I tried one of the Demeter holiday scents that smelled just like a Christmas tree and it transported me back to being a kid decorating our tree together as a family.